This entry was posted in Daily Life & Humor, God's Abundance, Growing Up and tagged Clarke, Driving, parenting. Bookmark the permalink. Claire, entertaining as always! Thanks for the morning laughs. Glad you and Miss Driver-in-Training escaped the incident unscathed. 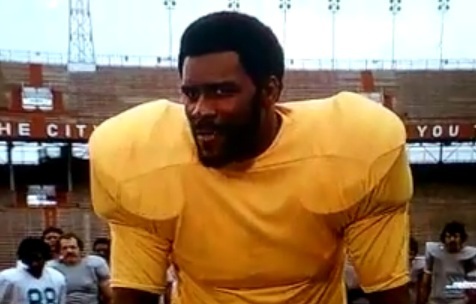 Thanks also for putting the 1970’s Mean Joe Greene Coke commercial in my head. Except–in this version–you’re the kid offering him a bottle of Coke and calling him Flossie. Er, Mr. Crusher.